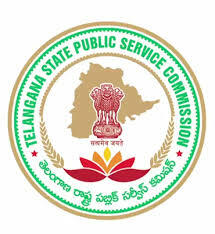 TS Forest Beat Officer (FBO) Solved Question Papers PDF Download, Syllabus in Telugu – Telangana Public Service Commission (TSPSC) has invited online applications from eligible and interested candidates. Candidates who are completed intermediate its equivalent they are eligible to apply by visiting the official site of TSPSC before the last date. Candidates who are applied and started preparation they have to know about TS FBO Question Paper Pattern, Syllabus in Telugu, Solved Question Papers to get a high score in the exam. Here i am sharing TS FBO Previous Question Papers in Telugu, Model Question Papers in Telugu, Syllabus in Telugu, English Medium Question Papers, beat forest officer model question paper, forest exam model paper and more info available below. Educational Eligibility: 12th Class from recognized Board. Age Limit: 18 years to 31 years. Selection Process: PET/ Written Exam.